Feeling a little colder? 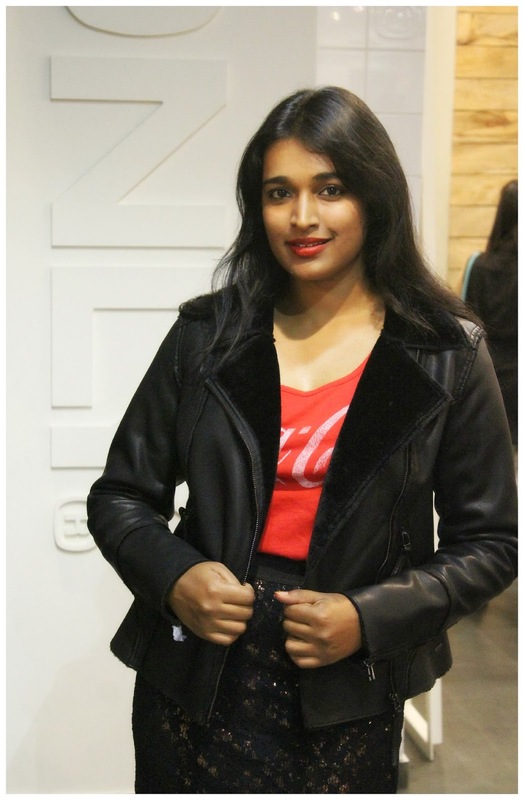 Put on this cozy faux leather jacket to beat the cold. It gives you a rough biker chic look, if this is what you like! The jacket felt so soft and warm almost like a snuggly bear. I wanted to sleep in this! If only, every outerwear could be as comfortable!!! Which one is you? 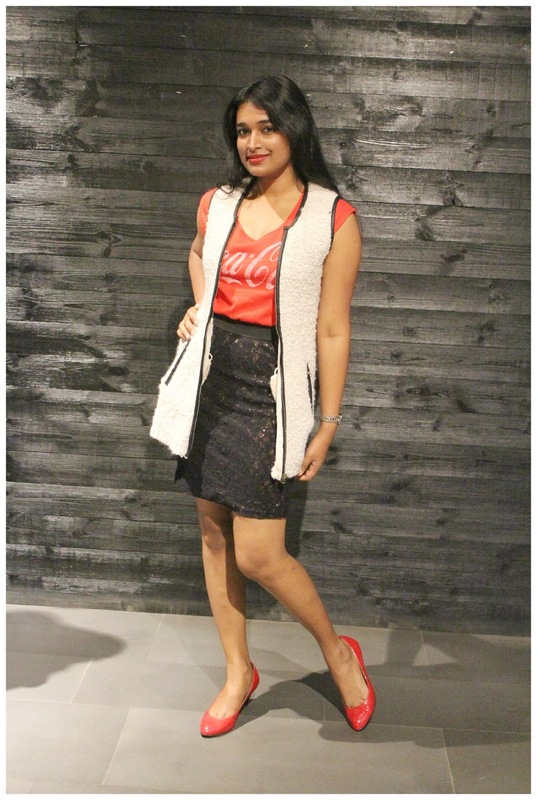 The cardigan jacket or the black faux leather jacket? Reading your blog after quiet a few days...and this post makes it worthy! They seem to have some really cool collection this season. No one does it better than you Ila. 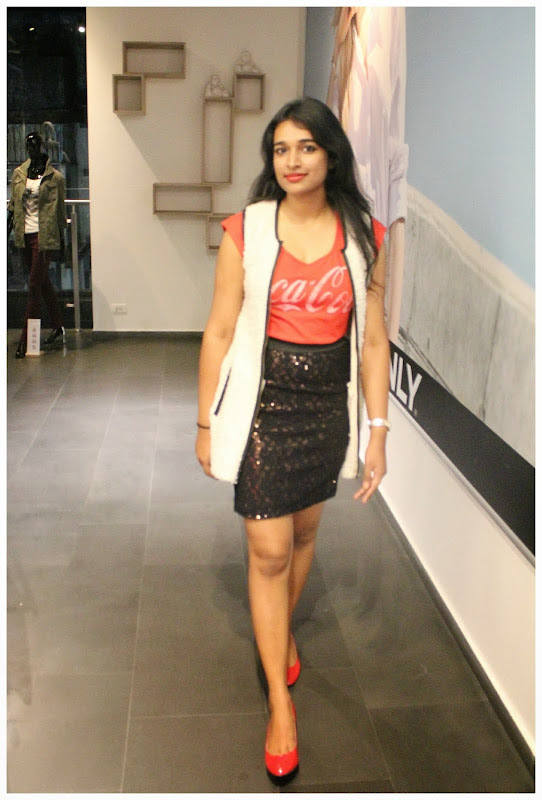 Casual Coca cOla tee with Sequin Skirt and that jacket.